Rampart Casino offers the best Las Vegas Deals. 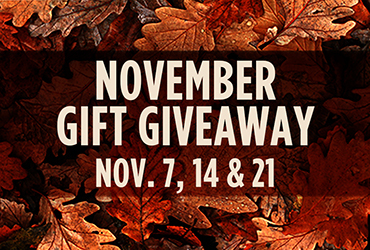 Earn 300 same day base points to receive a free gift in our November gift giveaways. Limit of 2 earned gifts per player, per day. While supplies last. To stay up-to-date on all our promotions and events explore our website often.